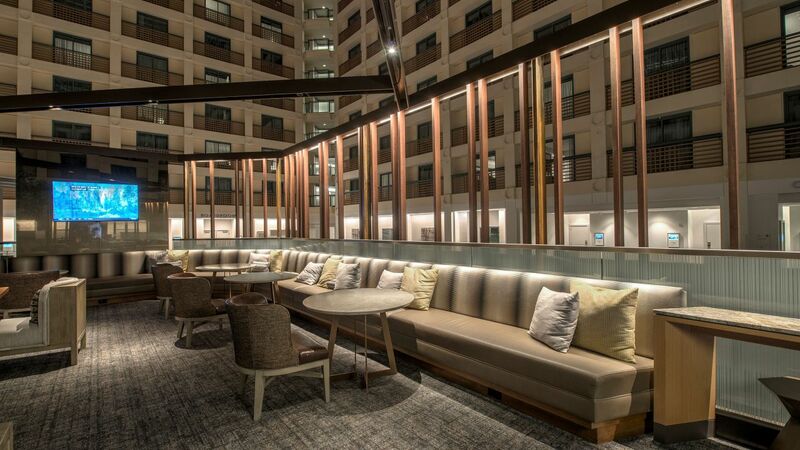 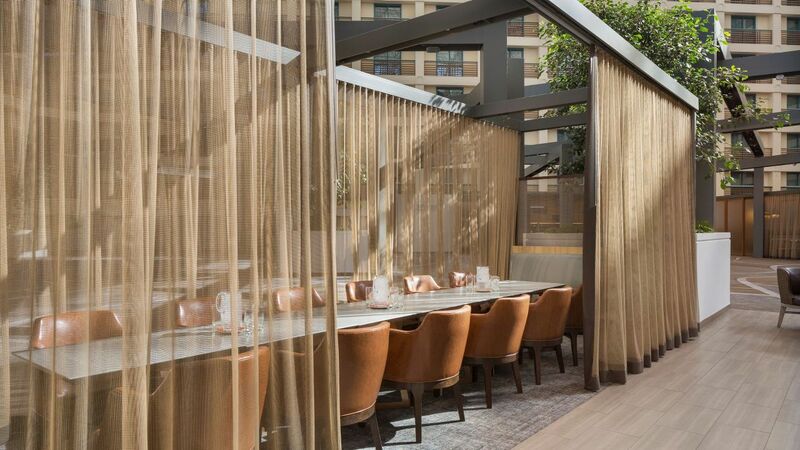 Designed for on-the-go guests, Hyatt Regency San Francisco Airport is a sleek hotel just five minutes from SFO. 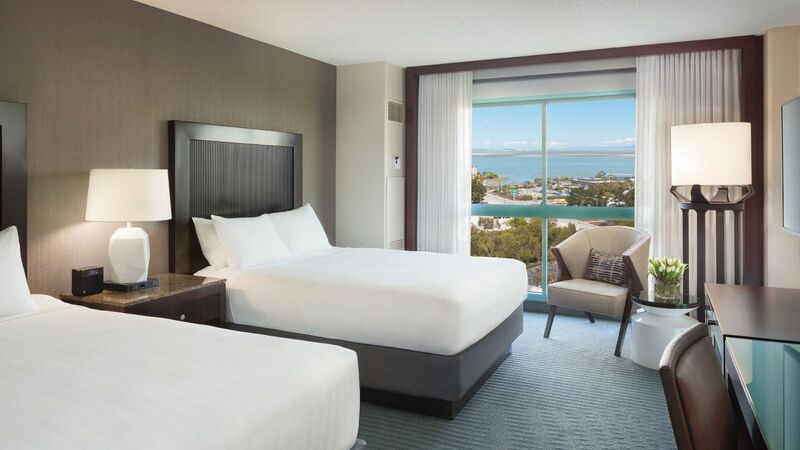 Feel at home in rooms with bay views and chic on-site dining options. 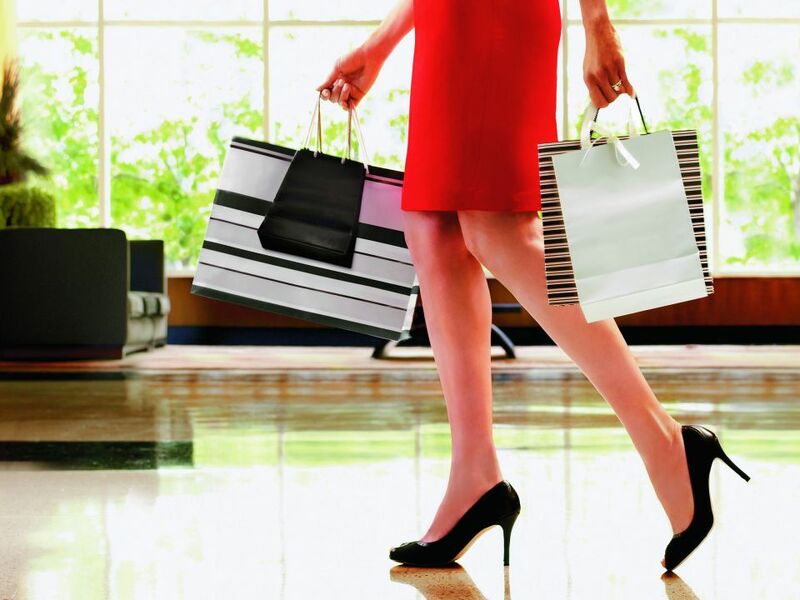 Access San Francisco International Airport aboard our complimentary shuttle and downtown Burlingame with complimentary trolley service. 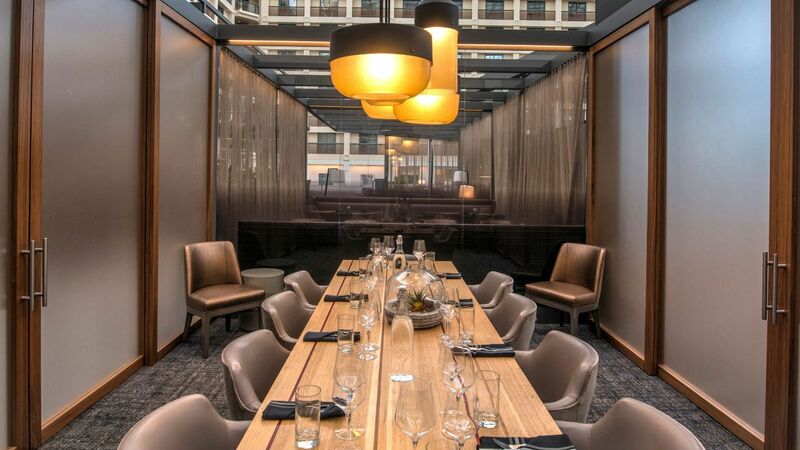 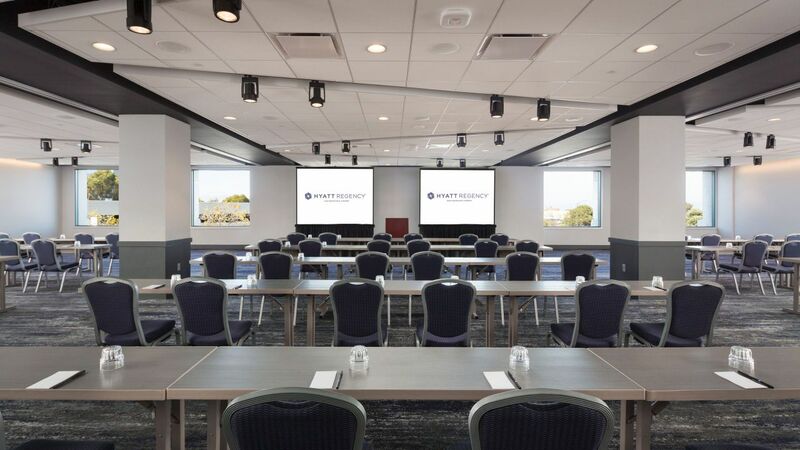 Equipped with advanced audiovisual setups, VIP planning, and full-service catering options, our award-winning meeting spaces near SFO have been recognized as some of the best in the Bay Area. 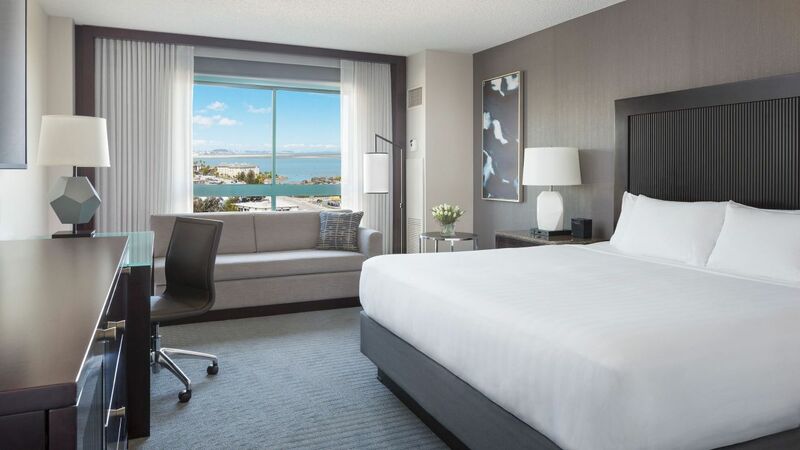 Settle in for a comfortable stay in one of our sleek rooms overlooking San Francisco’s scenic salt marshes, each with a spacious workstation for productivity. 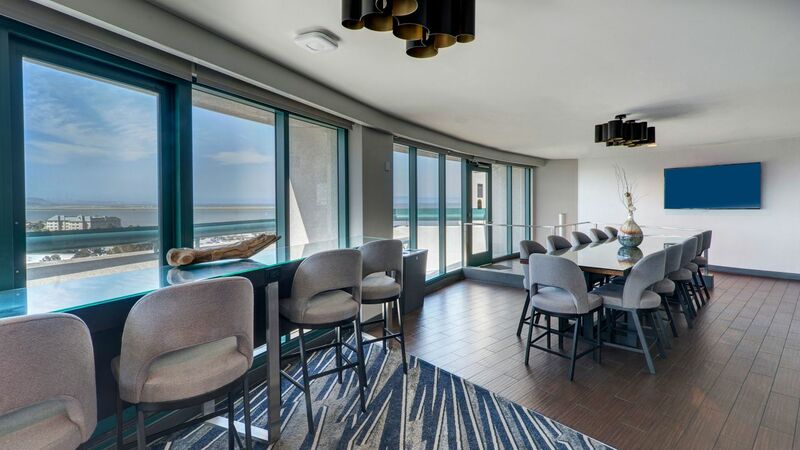 Upgrade to a suite for impressive bay views or a Regency Club room for exclusive lounge access. 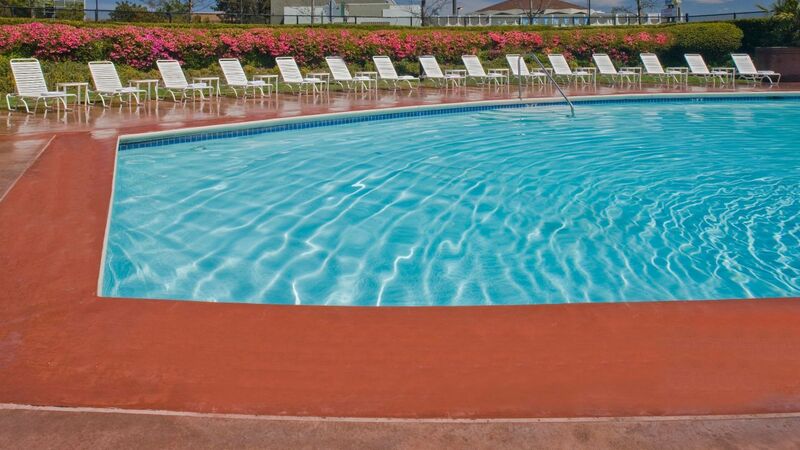 Take a break to bask in the California sun at our heated outdoor pool and sun deck complete with a whirlpool hot tub, lounge chairs, and a large, beautifully landscaped area for the ultimate relaxation. 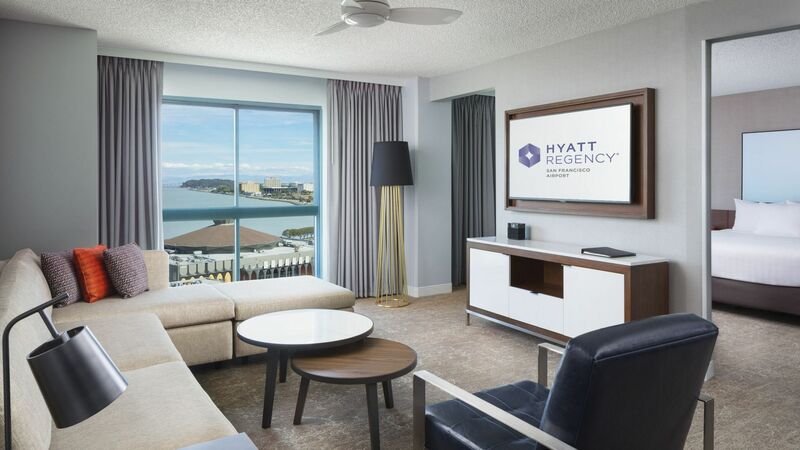 Don’t miss a beat while traveling with a workout in our 24-hour StayFit™ gym, located on the ground floor. 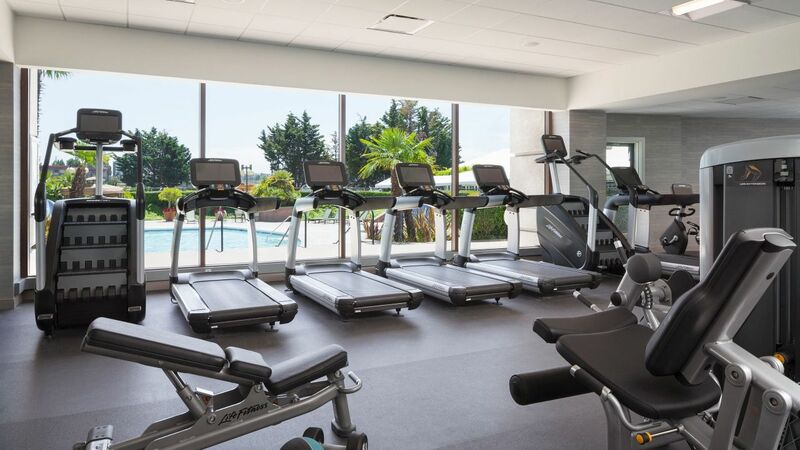 Overlooking the pool area and with abundant natural light, the fitness center offers cardio and strength training equipment, resistance bands, balls, and exercise/yoga mats. 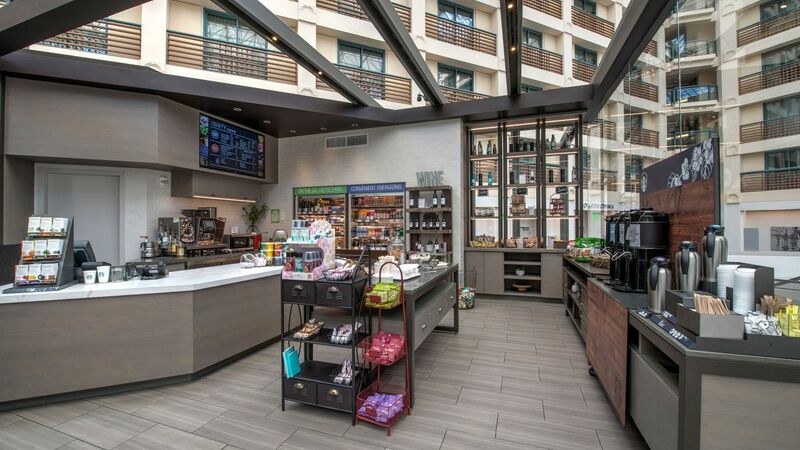 Stay connected and ahead of any corporate challenges that come your way with 24-hour access to business kiosks throughout the hotel for last-minute needs including copy, print, fax, and shipping services. 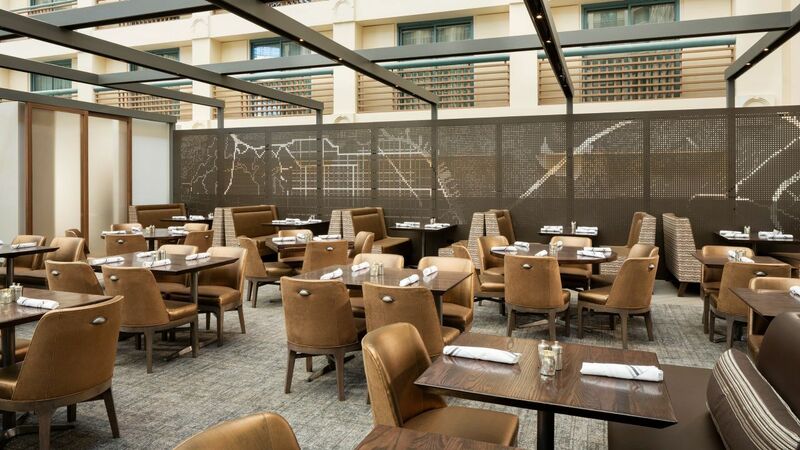 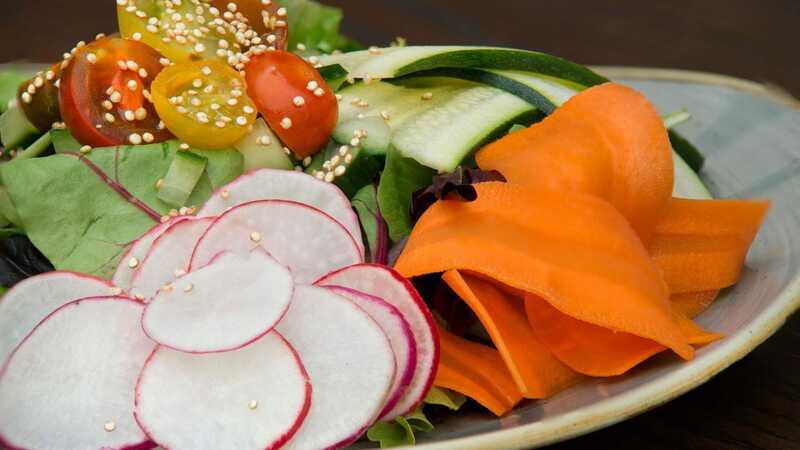 The Regency Club Lounge benefits include daily continental breakfast, light snacks in the afternoon, evening hors d'oeuvres and dessert. 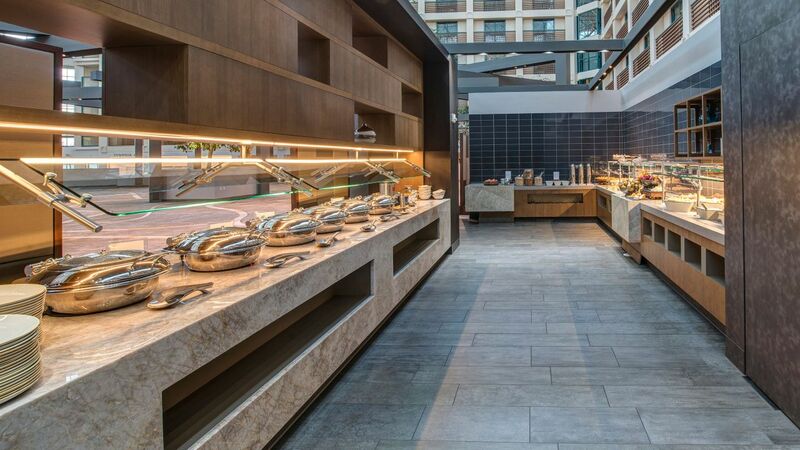 The lounge is located on the 9th floor and offers private fitness center. 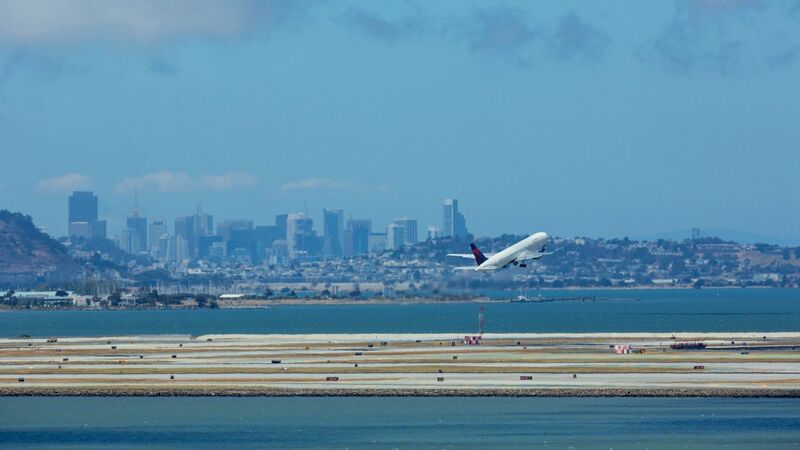 The views from the lounge are breathtaking and you can see the San Francisco Bay Shore and airplanes take off at SFO. 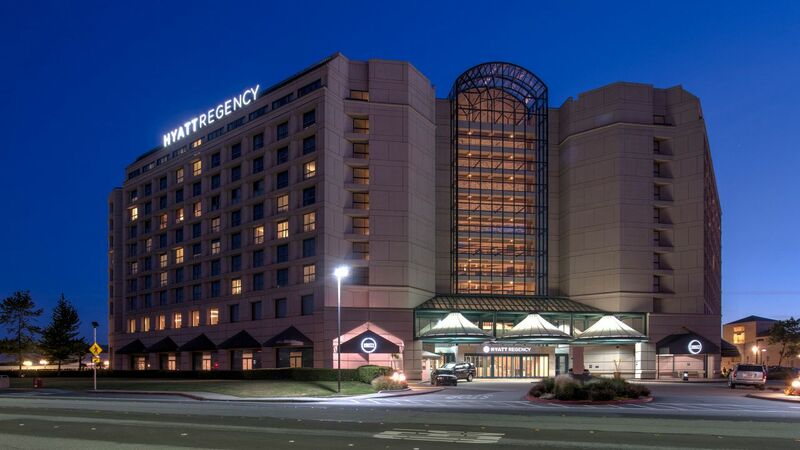 The Regency Club Lounge is open between 5:30am – 9:00pm on weekdays and 6:00am – 9:00pm on weekends. 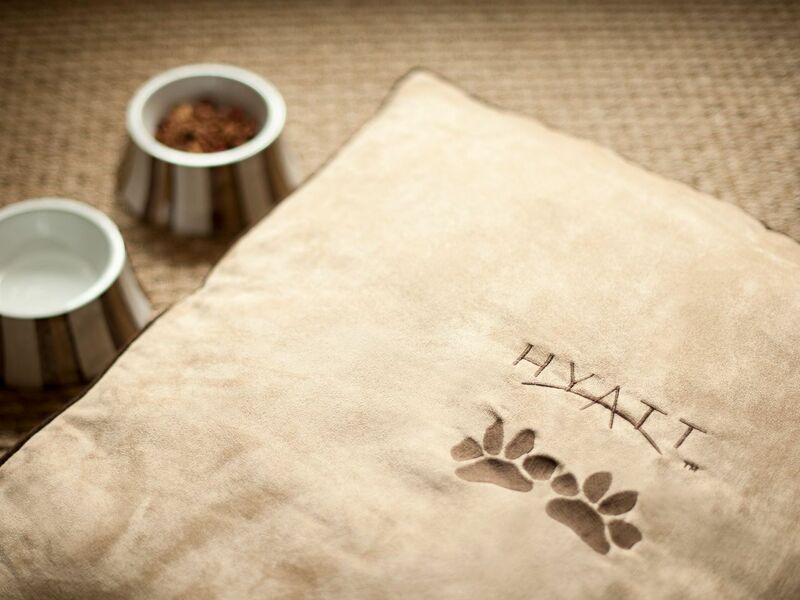 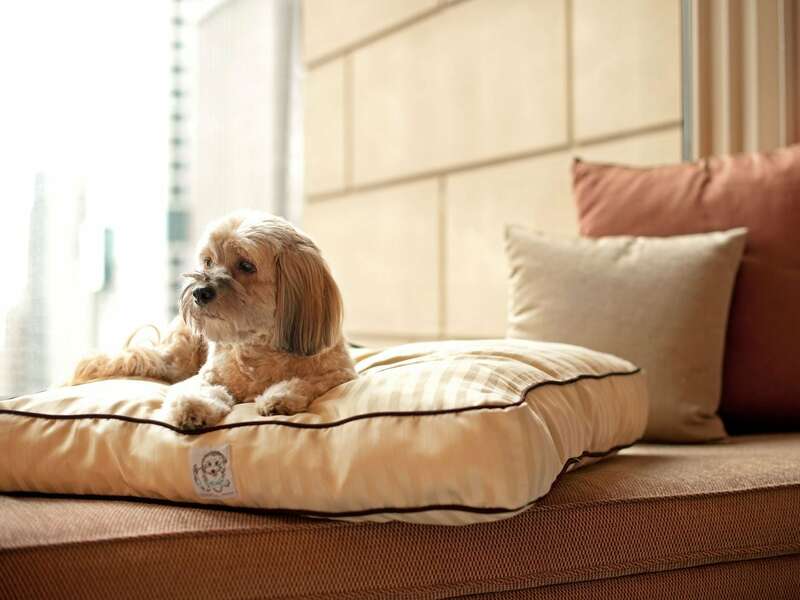 Pets are welcome at Hyatt Regency San Francisco Airport. 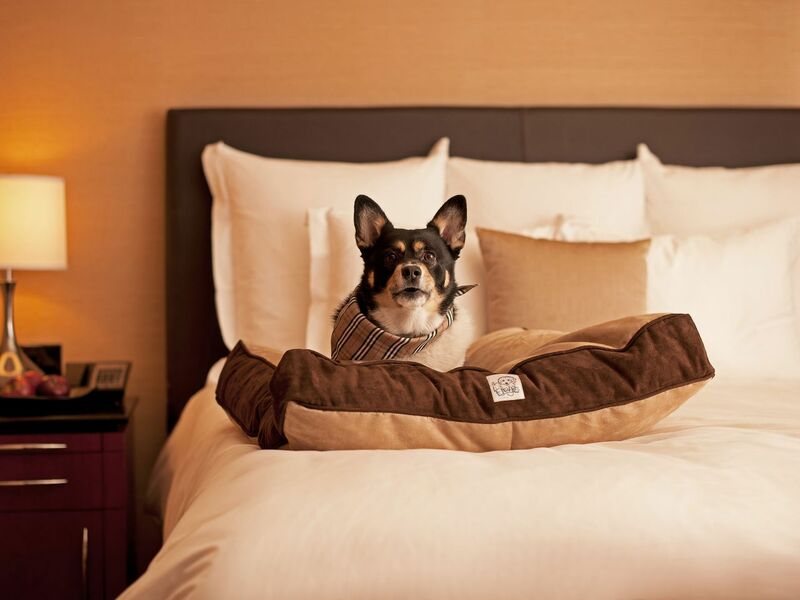 Inform the hotel at least three days prior to arrival with your dog. 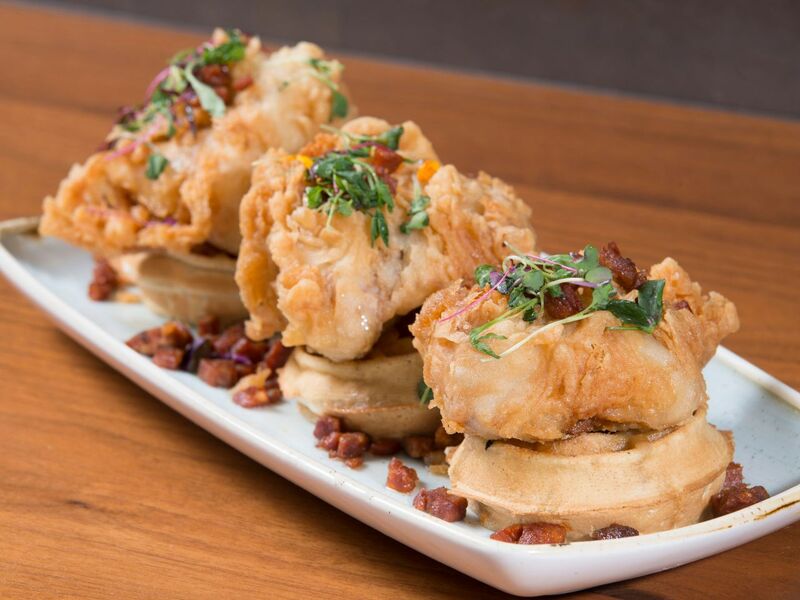 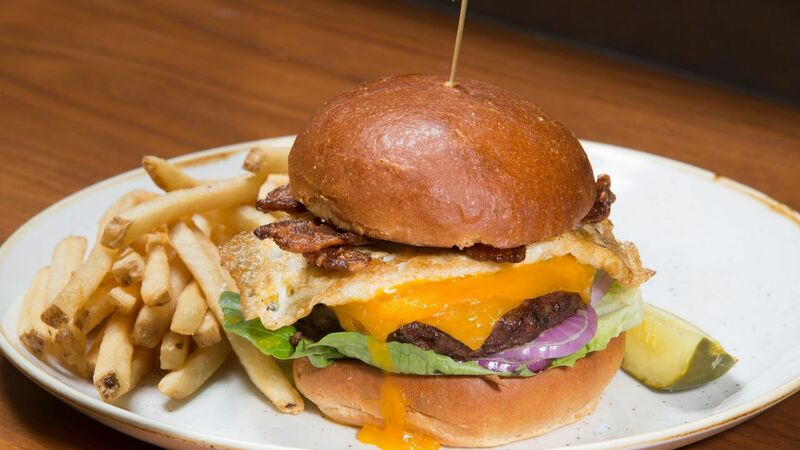 Indulge in handcrafted pub fare, from savory appetizers to grass-fed beef burgers, creative cocktails, and local brews at this airy, yet inviting, sports bar located in the chic atrium lobby. 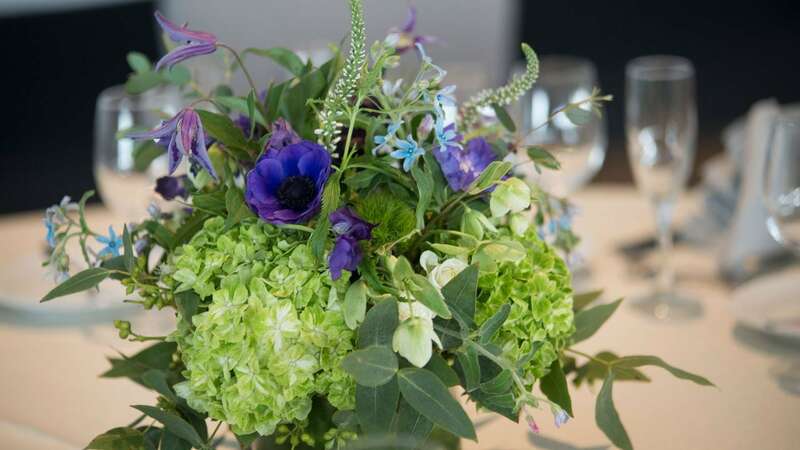 Add some grandeur to your special day with a celebration in our elegant wedding venues, including expansive ballrooms and intimate spaces with bay views and full-service catering. 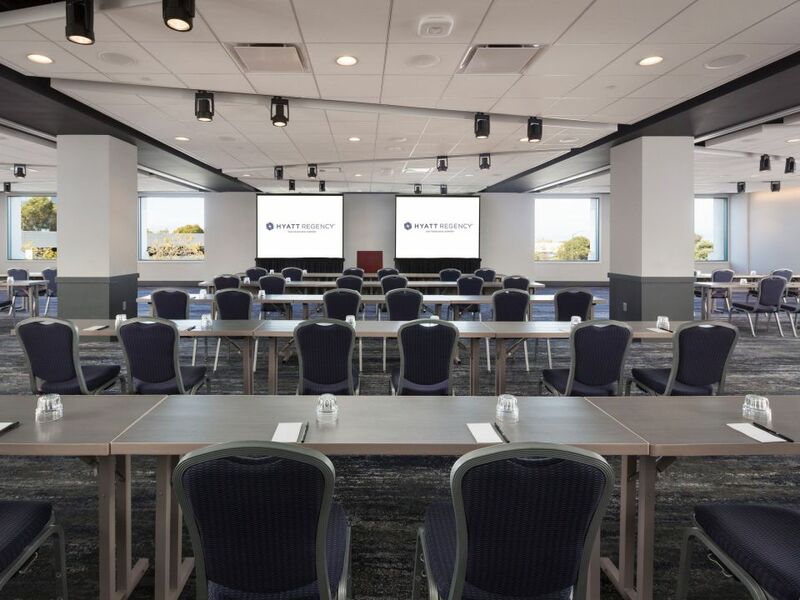 Make a lasting impression for even the most routine fly-in, fly-out meetings and corporate events in 69,000 square feet of space complete with futuristic audiovisual capabilities. 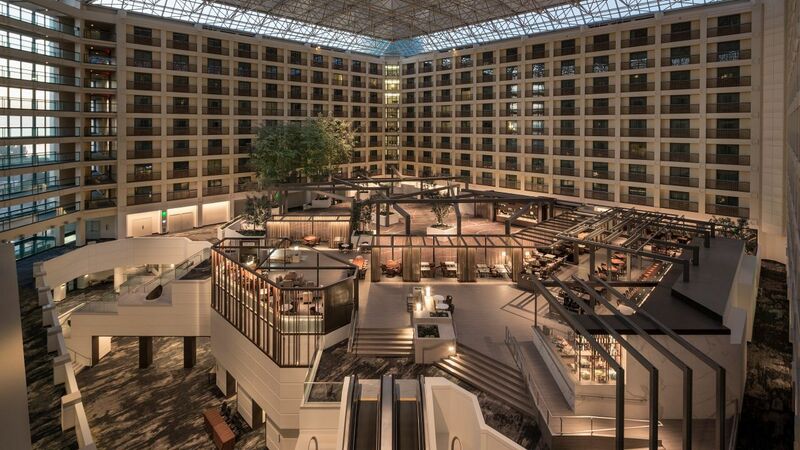 The Hyatt Regency San Francisco Airport is in a great location, whether or not you're flying to/from SFO. 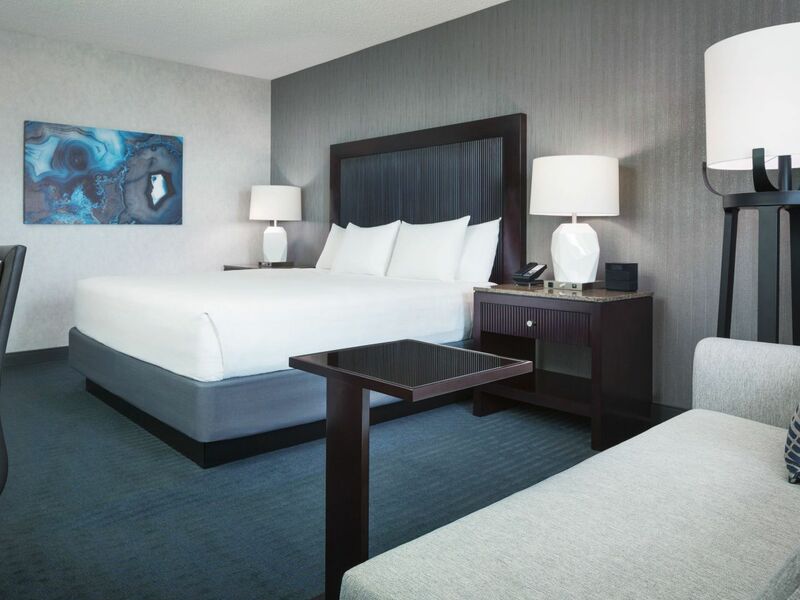 The rooms were very comfortable and staff was friendly and efficient. 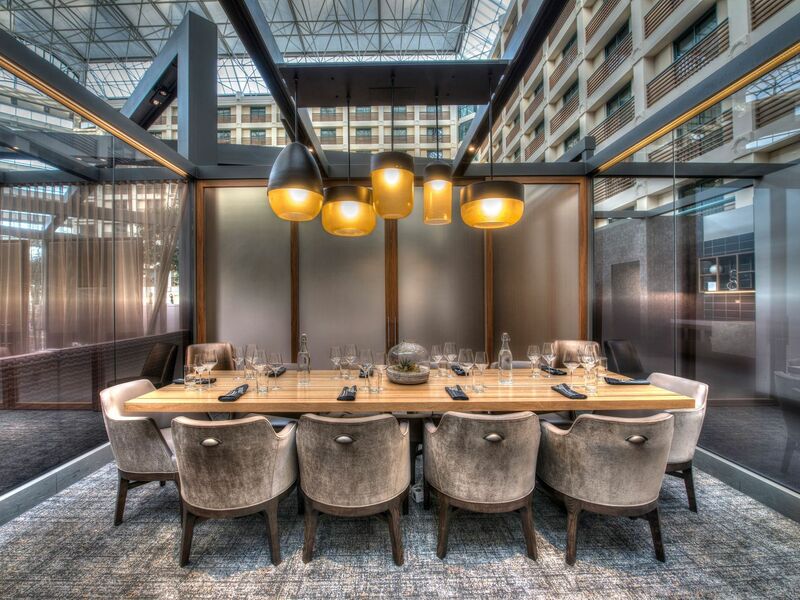 I would highly recommend this hotel to anyone for business or pleasure! 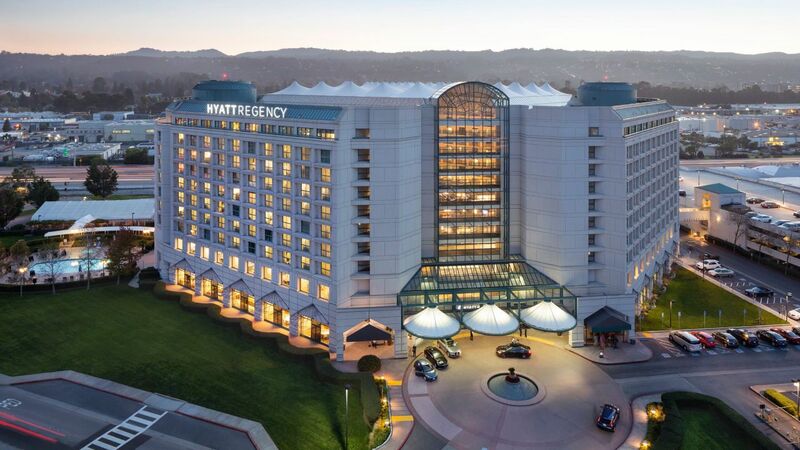 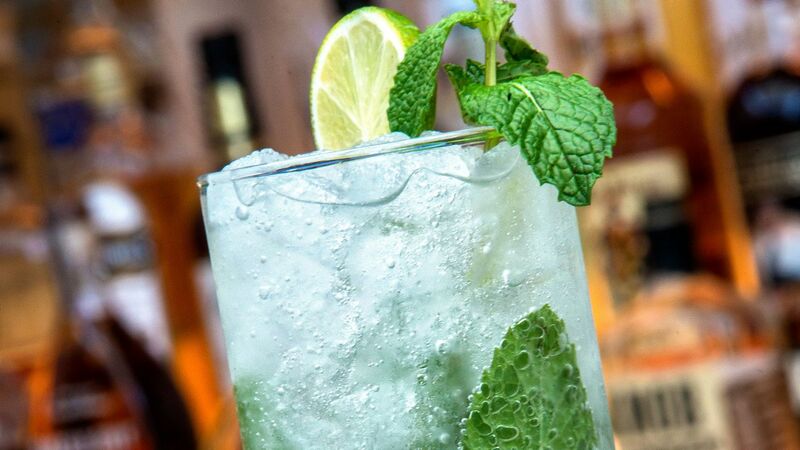 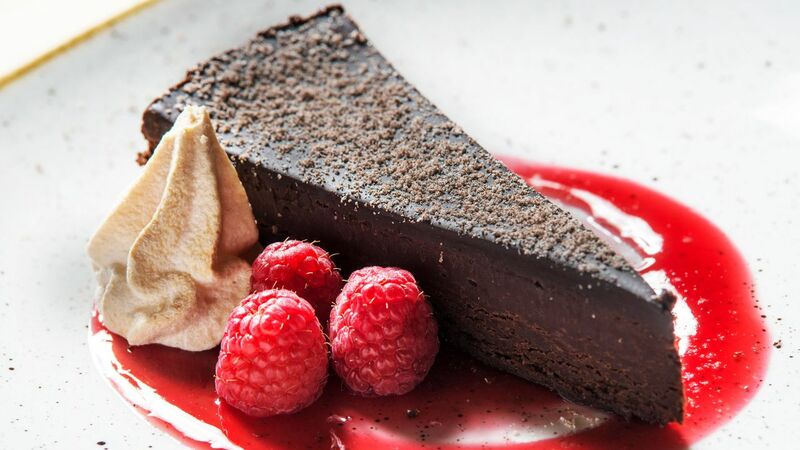 What else is happening at Hyatt Regency San Francisco Airport?